We are an established boat brokerage firm (with a history dating back to 1954) offering listings for every type of power and sailboat. 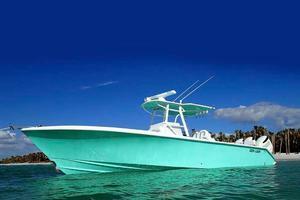 We are an independent brokerage, affiliated with United Yachts of Stuart Florida. This association allows us to maintain our personalized customer service while benefiting from all of the services and advertising that come with being a major brokerage house. 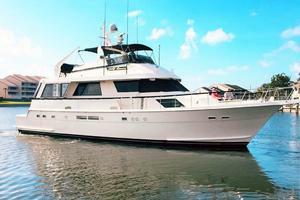 Located in the Maximo Marina, we specialize in used yacht brokerage in the Tampa Bay - Saint Petersburg area. We are experienced professional yacht brokers with motoryachts, trawlers, sportfish & express yachts. Our dedicated staff has a combined brokerage experience of well over 100 years, our knowledge and resources can satisfy all your yachting requirements. You will find no amateurs, or trainees here, only experienced professionals who can serve all of your needs. Whether a first time buyer or a seasoned yachtsman, we can help you with your purchase or sale. Honest answers and professional courteous service await your inquiry in a casual, friendly atmosphere. 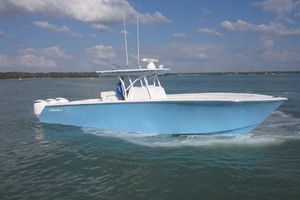 Our philosophy is as an alternative to high pressure boat salesmen, we take great pride in our reputation and are dedicated to building our business one satisfied customer at a time. Integrity, ethics and our customers' best interests are the principals which form the cornerstone of our continued success. UYS and West Florida Yachts are trusted by more sellers than any other brokerage firm in the industry. Our closing staff, on average, processes over 600 transactions annually resulting in your yacht spending less time on the market. 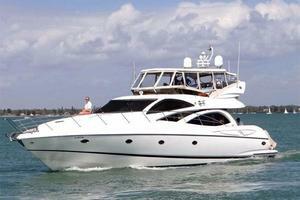 If you want to sell your yacht, West Florida Yachts can help you get your yacht sold. With a database of over 75,000 clients and supported by a technical & marketing team widely known as one of the best in the industry, there is no better firm to list and sell your yacht quickly. With on average of 600 central listings to choose from, as well as database access to over 10,000 yachts and boats to search through, West Florida Yachts can find the boat or yacht you are looking for! To get started please browse our database of yachts for sale, or contact Roger to have him search the worldwide market for you. Roger Cole has been in the yachting industry for over 20 years. With the friends he has made from buying and selling yachts, as well as his connections made from traveling the world, Roger has the knowledge and contacts to make your sale or purchase a pleasurable one. Roger's philosophy is every client is the most important one, and also is a future friend that makes him one of the most successful yacht brokers in the industry.